The new Wärtsilä CP propeller system offers greater efficiency and a reduced environmental impact. At the SMM exhibition and conference in Hamburg, Germany, Wärtsilä is introducing its latest development of large Controllable Pitch (CP) Propellers, based on the previously known E-hub type. The new CP propeller system offers greater efficiency and a reduced environmental impact. 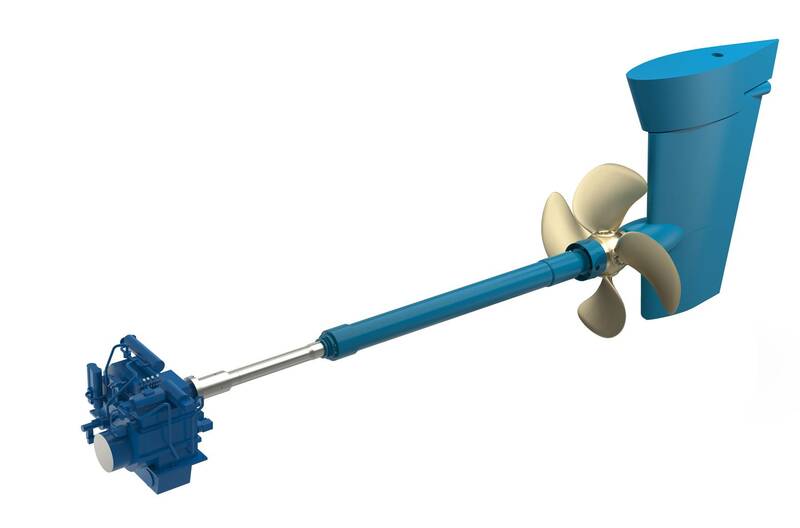 The new Wärtsilä CP propeller system addresses the demands of medium and large size vessel owners, and is particularly applicable for special vessels that are equipped with dynamic positioning capabilities, as well as vessels having ice notation, the manufacturer said. Among the benefits cited are an increased load capability, the high propulsive efficiency, the reduced fuel consumption that this efficiency brings to the vessel, excellent reliability, and a reduced environmental footprint. The design follows the Systems Engineering approach with integration of the propeller and the hub with modern hydraulics and propulsion controls. Computational Fluid Dynamic (CFD) calculations are used to analyze, not only the propeller performance but most importantly also, the interaction between the propeller and hull. This provides extremely accurate information, based on detailed 3-d geometry, for achieving design and parametric optimization. This state-of-the-art design protocol optimizes the vessel's overall propulsive efficiency. Significant fuel savings are possible, and with each Wärtsilä CP propeller being individually customized to meet specific application requirements, the vessel's EEDI/EEOI is improved. This in turn leads to reduced exhaust emissions. The innovative hub design features forced lubrication and allows the use of environmentally acceptable lubricants (EAL), as required for propulsors operating in US inland and coastal waters. The propeller system is prepared so as to meet the US EPA's VGP 2013 regulatory requirements. The new design allows for compatible hydraulics and the flushing of lubrication oil. "The WCP propeller system is the result of the work of highly experienced design engineers in our European R&D headquarters having access to the very latest and most sophisticated software and analysis tools. Furthermore, our long history and experience in designing propulsion systems gives us extensive product knowledge, having developed design tools based on a large number of model testing, full-scale measurements and research activities. Co-operation with well known research institutes and universities worldwide ensures our prime position when it comes to propulsion systems and products," said Wim Knoester, Director, Propulsion Sales, Wärtsilä Ship Power. This latest Wärtsilä CP propeller development facilitates easy integration with Wärtsilä's new propulsion control systems and bridge architecture. This new system is presented at the Wärtsilä stand in Hall A4, Booth 305 at the SMM conference and exhibition in Hamburg, Germany.